The 2019 GMC Acadia is built with a strong engine, capable features, and a classic style. With features like keyless entry and start for the colder Acworth months and 7″ infotainment system to keep you connected and entertained, why would you choose another model? Browse our new vehicle specials to find a great deal on your new Acadia and make your way to Riverside Buick GMC for a test drive around Rome today! This model offers plenty of space for each row of seating, making a family trip comfortable and allowing you to take everything you need with you. When you’re ready to get into this fully capable and powerful GMC SUV, make the trip to us at Riverside Buick GMC. We have plenty of new vehicle specials to help make your purchase more affordable. We can also help you compare the Acadia to the Honda Pilot and other models. 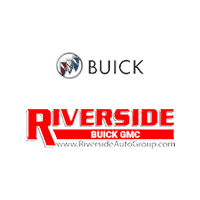 Find the right GMC model for you and your family, then drive your favorite home to Rome with the help of Riverside Buick GMC. Contact us to learn more about your favorite model or to schedule a test drive.